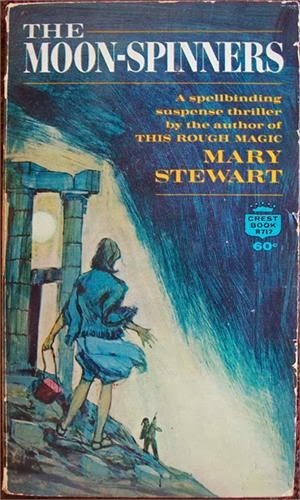 After the brilliant success I met with last week when I went in search of some childhood favorites (Nancy Drew, Trixie Belden, and Cherry Ames), I was highly optimistic about what I'd find when I went in search for some other authors who published primarily in the 1960s-80s. 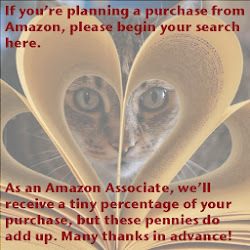 Specifically, I was looking for digital titles by Victoria Holt, Mary Stewart, and Phyllis A. Whitney. Several of Victoria Holt's books have been made available as ebooks through Casablanca Classics (India Fan, The Pride of the Peacock, Shivering Sands, Mistress of Mellyn, Time of the Hunter's Moon, Bride of Pendorric, On the Night of the Seventh Moon, The Secret Woman). So Holt definitely is the winner of the digitization sweepstakes! Only Mary Stewart's four book Arthurian legend series is available digitally. (No regrets as I love this series that begins with Merlin as a young boy.) None of Phyllis Whitney's books have been digitized. I find this quite sad as these authors' books lined my bookshelves and inspired wonderful dreams and story weaving in my tween and teen years - and I know I'm not alone in that. I especially loved Stewart's and Whitney's books and would read - and reread them. Luckily I have saved several of these, but am hopeful that soon they will find their way to my Kindle too. Until then, if I do want to read them on an eReader, I can borrow several titles from - yes - OpenLibrary.org. Just scrolling down the page of the Mary Stewart catalogue entry, I feel as though I'm encountering old friends - Airs Above the Ground, My Brother Michael, Rose Cottage, Thornyhold, Thunder on the Right, and, yes, the Moon-Spinners! This is still one of my favorite books and I'm on the waiting list at OpenLibrary.org for it's return. Soon I'll be visiting Greece, running from partisans, and discovering mysteries - perhaps falling in love. Oh, Mary Stewart, I do love you! Phyllis A. Whitney is also well represented at OpenLibrary.org. 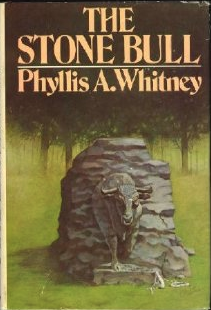 One of my favorite of her books, Stone Bull, is there. It's there! Whitney had actually visited a Victorian mountain-top resort - Mohonk Mountain House - in New Paltz, NY, not far from where I live and set this story there. When I first read it, I was swept away into her world, while at the same time becoming quite aware at age 11 of an author's magic reinterpretation of reality. A place I knew well was transformed and I was transfixed! That is only one of several titles by Whitney that are available here. A virtual goldmine! Victoria Holt is well represented. Really well represented. I kept scrolling down the page and there were ever more titles available. WOW! Now the provisos for OpenLibrary.org are (1) these are scans of books that were in library holdings and there can be textual errors (b) not all of them are available for download, some may only be available to read online (c) you may borrow them for only two weeks. I don't mind any of those qualifications and am just so delighted that this FREE resource is available for anyone and everyone who registers with a valid email address. What a godsend for readers everywhere and a treasure for generations to come. Kudos, OpenLibary.org! So, tell me what books you're looking for? What authors do you love that your eReader is starving for? Let's journey together in our search. Comment below and maybe treasure will be discovered in OpenLibrary or through publishers like Casablanca or Harlequin that are devoted to combing their backlists and making them available for the digital future.